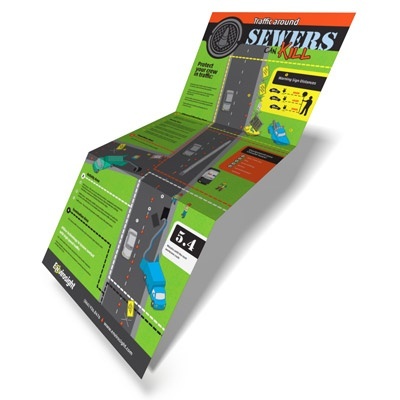 Setup for traffic work zones varies by street size and traffic volume, and managing these details is crucial to keeping your sewer maintenance teams safe. You can limit their exposure to traffic hazards by ensuring compliant work zones. Envirosight is offering a FREE new poster that explains the necessary measures for safe, effective traffic control. Provide us your mailing address and we'll send you a complimentary copy.